Not only do you get 2 courses and save!, but you also get a complimentary 30 minute CV review, worth £50. This is a practical guided programme to support you to create an effective CV. It covers both biographical and skills based CVs. Are you tired of being rejected for jobs before you even have an interview? Without a great CV you will not even get your foot in the door. 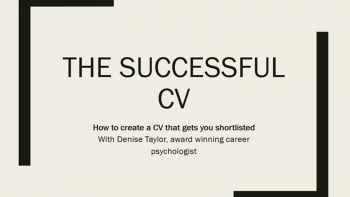 A professional and well written CV is the key to getting the job you want. This programme will guide you step by step through creating your CV, plus the preliminary steps to help you prepare for interview. You will receive practical and relevant advice from an expert who has been short-listing candidates since 1989 and helping people create CVs since 1997. Your CV is not intended to list everything you did at every position. It is a top-line, highlights document intended to quickly give the reader an honest sense of your skills, where you've been and where you're going. It's not a biography. If it gets your phone to ring, it has done its job well. Having an effective LinkedIn profile is no longer an option. It is an essential element of your career management. It’s needed for people who want to be successful in their chosen career as well as for job searchers. Whether you want to start from fresh or revise something you already have I can help make your profile eye-catching and effective. 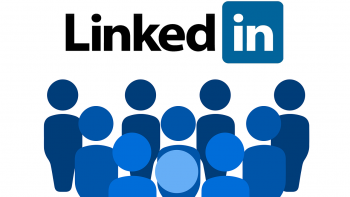 Look at your LinkedIn profile – is it as effective as it can be? Or is it boring, and dull, failing to do you justice. Recruiters will use LinkedIn to research candidates so it is crucial you have an effective online presence. Far more than a CV your LinkedIn profile allows you to display more of your personality, recommendations and much more detail on your career history and much more. I’ve undertaken significant training to support my practical skills, read more in the WHY DENISE Lesson which you can preview below. Whether you are new to LinkedIn or have been a LinkedIn user for a while, and recognize you need an update, I’ve got the expertise to help. Create an effective LinkedIn profile to help get a new job, or to improve your reputation within your own company.